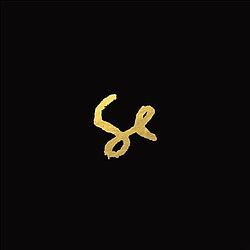 Sylvan Esso is my new favorite artist. If you’re looking for some good home-soil electropop, this is the band for you! They have a bit of indie mixed in as well, and the contrast throughout all of their songs is quite beautiful. By contrast I mean the difference in the tone and meaning of their songs. Some of them have you jumping up and dancing, others have you thinking the blues. For example, “Coffee,” one of my favorite songs of theirs, is pure fun. With the light melody and happy electronic beats, it is a great song to dance, too. Then you have a song like “Play It Right.” Before I heard this song I thought this band was another one of those one-hit wonders, with “Coffee” topping the charts and everything else doing just okay. Then I heard this song, and it was at an excellent time as well. Driving home, with the night skies’ shadows falling over the landscape as it rushed by, and the moon making everything eerie and mysterious, this song filled the silence perfectly. The whole melody is almost spooky, but it holds the clear and light vocals and bell-like sounds I love so much. With Amelia Meath singing, and Nick Sanborn going to town on the electronic beats, I wonder why they haven’t gotten more attention. Though the two did not plan on making a band, their album Sylvan Esso has ten wonderful songs that prove their musical compatibility. From songs of loss and love to dance and desire, for every marvelous melody Amelia sings, Nick comes in with an intricate blend to match. Even if it’s just for the strange (but intriguing) music videos, please check out this unequaled duo. With the modern electronics and soft vocals offering a compelling gift for any pair of ears, you can’t go wrong with a band like Sylvan Esso. They’re like an espresso with their techno ‘dance beats,’ just without the sugar crash!